Click Here To See Brave and the Bold #9 Comic Book! 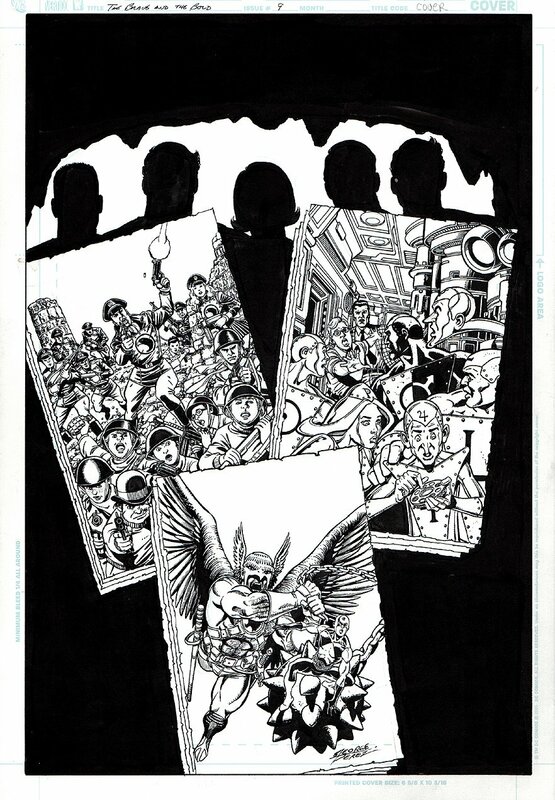 Check out this very nice Brave and the Bold cover, which was penciled and inked by the great George Perez, from the story titled: "Star-Studded Spectacular!" 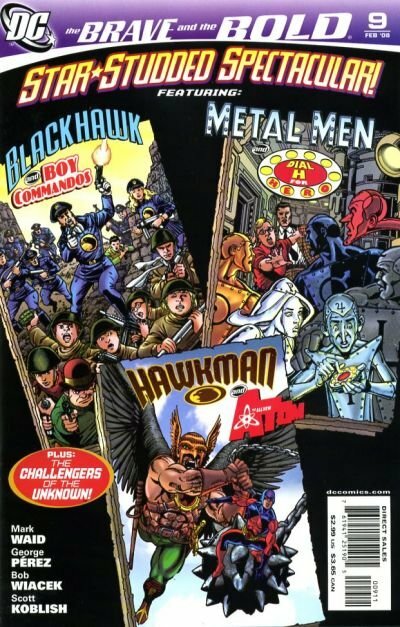 This nice cover features: The Blackhawks [Blackhawk; Andre; Olaf; Hendrickson; Stanislaus; Chop-Chop; Chuck; Lady Blackhawk [Zinda Blake]]; Captain Rip Carter; Boy Commandos [Andre; Jan; Alfie; Brooklyn]; Doc Magnus [Will Magnus]; Metal Men [Gold; Iron; Lead; Mercury; Platinum; Tin]; Robby Reed; Hawkman [Carter Hall]; Atom [Ryan Choi]! Compare this nice cover art to the published comic book in the red link above!